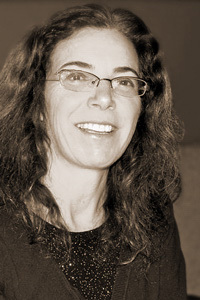 Martha Silano is the author of Reckless Lovely (Saturnalia Books, 2014); The Little Office of the Immaculate Conception (Saturnalia Books, 2011), which won the 2010 Saturnalia Books Poetry Prize; Blue Positive (Steel Toe Books, 2006); and What the Truth Tastes Like (Nightshade Press, 1999). She is also author of The Daily Poet: Day-By-Day Prompts For Your Writing Practice (Two Sylvias Press, 2013). Her poems have appeared in Poetry, American Poetry Review, AGNI, and Paris Review, among other journals. She edits Crab Creek Review, teaches at Bellevue College, and lives in Seattle, Washington.